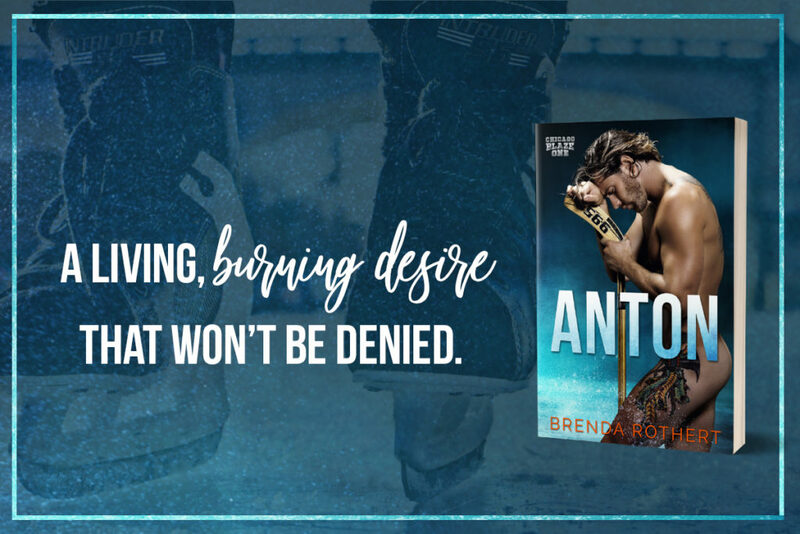 Today we are celebrating the release of ANTON by Brenda Rothert. This is a contemporary romance, standalone title, and it kicks off the brand new Chicago Blaze hockey romance series. Purchase your copy now for only $2.99! Anton Petrov is a dreamboat on ice. This uber lovable captain of the Chicago Blaze has long harbored a crush on a teammates wife and for two years has remained steadfastly loyal to her, she just doesn’t know it. Heck no one can know because its just not the kind of thing an honorable man like him wants anyone finding out. It’s not until he discovers the object of his affections, Mia, is working at a bar after having left her abusive husband that Anton fesses up. And thus begins this slow-burn love story between Anton and Mia Marceau. As if the juxtaposition between Anton kindness and the her cheating husband Adam wasn’t enough, Anton captures her heart by the sheer force of his being. Mia’s spent too long being beaten down by Adam and has some recovery to do, but she follows her instincts and allows Anton in. The pace of the story was perfect and Rothert develops a compelling case for Mia to fall in love with Anton. He’s the polar opposite of her husband Adam, he’s generous and kind and as the friendship between them develops Anton shows how deep his need to protect Mia runs. This is the first book by Brenda Rothert that I’ve read and with this one book I proudly call myself a fan. Yowza, she clearly she knows how to pick a cover is this is one of my favorite this year. I highly recommend this gem of a hockey romance read.